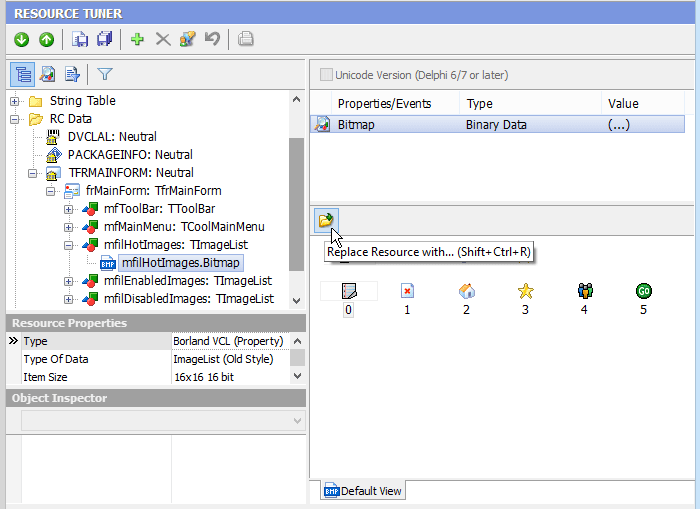 Resource Editor: How to Change Text and Images in Delphi Programs. 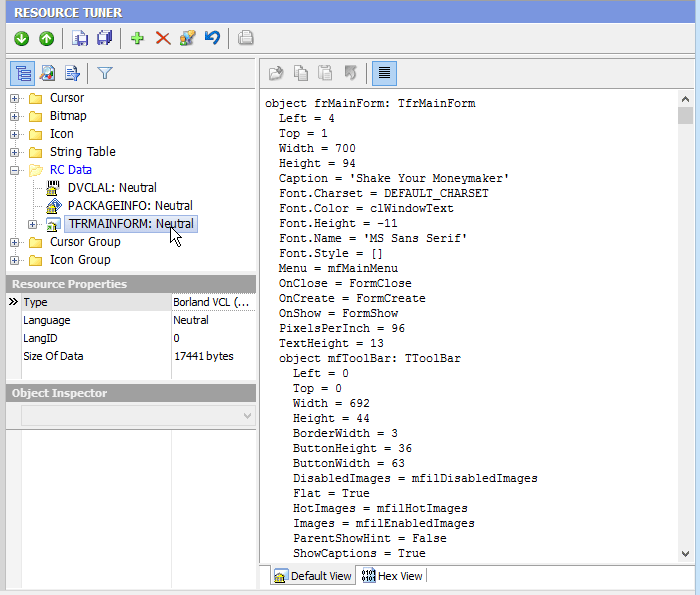 RCData DFM Editor Delphi Form Modules. Programs compiled using Delphi/C++ Builder do not commonly have menu, dialog, or accelerator resources, but store this information in a resource type named RCData that holds the information that were in the DFM (Delphi Form Module) file before the compilation. 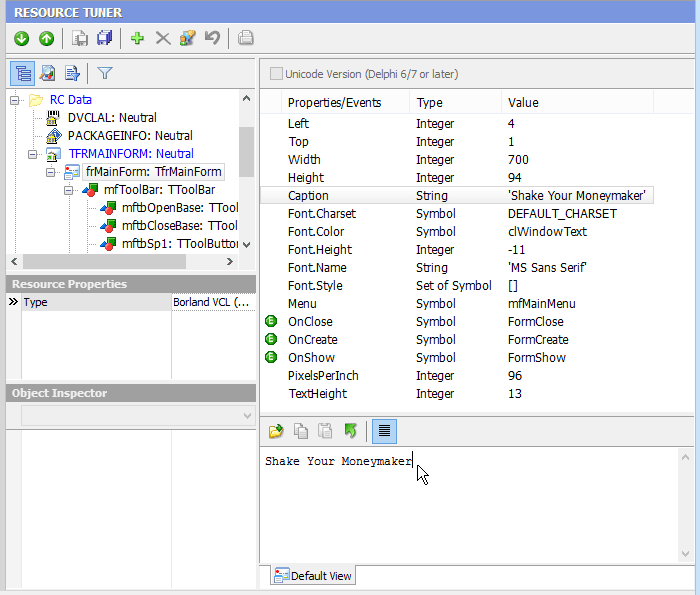 Each Delphi Form has a collection of properties and events - such as a caption, size, font color and style, mouse click, keypress, or component activation for which some additional behavior is specified. The properties are different for each type of form, some properties apply to most forms. Altering a form property changes the way a form behaves and appears in an application.